Two developments, both involving making use of older buildings, have made major, positive impacts on our farm in recent years. 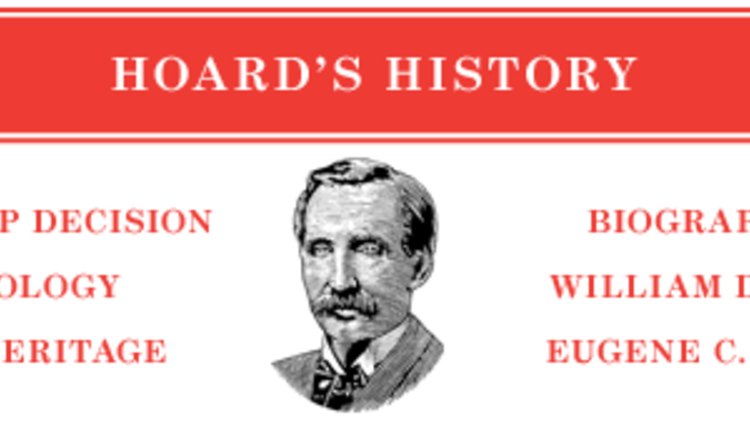 We were not able to move ahead with our expansion plans that included second and third new barns, as explained on page 397. One development was converting our unused 82-cow tie stall barn to free stalls. Those free stalls were too small for Guernseys. 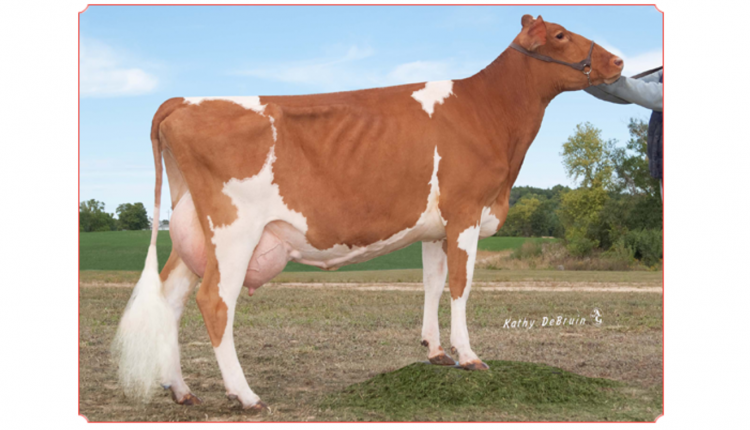 However, they were just right for Jerseys, and we have purchased 200, mostly cows, over the past two years. The other development was converting our 35-year-old, 90-head free stall heifer and dry cow barn to a bedded pack for close-ups. Jerseys have adapted well to the free stalls in our old, tie stall barn. We filled in the gutters, bed with sand, and scrape with a skid steer. They eat outside at uncovered bunks. Cost of the barn conversion was approximately $12,500. We spent approximately $12,500 converting the old barn to free stalls. The result is that each month we now are producing an additional 21,000 pounds of 5.0 F, 3.7 P, and 114,000 SCC milk that we weren't before. The barn had 82 tie stalls and a dozen box stalls in an L-shaped configuration. Removing five of the box stalls enabled us to put in 28 "new" free stalls in addition to the 82 existing stalls. We filled in the gutters so we could scrape with a skid steer. Ventilation is provided by the wind-tunnel system that had worked well for years. We scrape those barn alleys and the outside lot twice a day. The manure is stockpiled for two to three days and then hauled directly to the field. The old stalls basically were 7 feet long from feed curb to gutter and 4 feet wide. We bed the stalls with sand, as we do in the new free stall barn. To hold sand in the stalls we tried both 4x4s (about $1 per foot) and landscape timbers (about 50 cents a foot) lagged into the back of the stall platforms. The landscape timbers have the advantage of rounded edges but do not provide as much effective depth as 4x4s. We have not experienced any pin bone injuries. The Jerseys eat outside in uncovered bunks. We put some J-bunks taken out of the new free stall barn in the Jersey lot to make sure there is plenty of bunk space. Outside feeding is not ideal, of course, but the Jerseys are tough little cows that play the cards they are dealt. 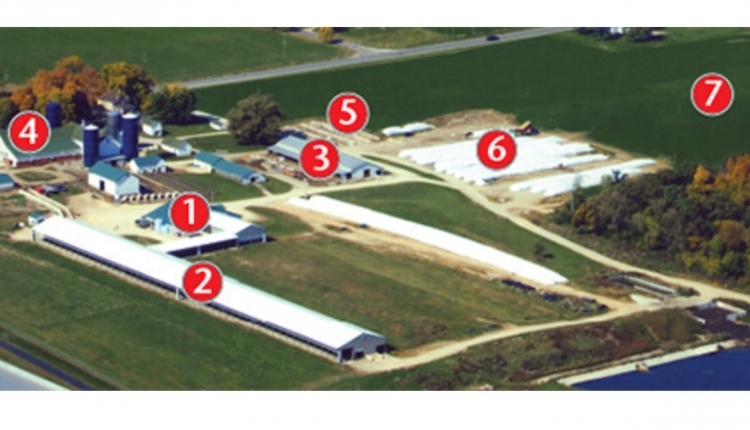 Part of our initial plan was to build a second free stall barn and a special-needs barn with space for hospital and fresh cows, close-ups, and dry cows. When both of those barns were put on hold indefinitely, we found ourselves using old horse and tobacco barns for our close-ups. They probably had less than 50 square feet of bedded-pack resting space each, less sometimes, and had to eat outside. As a result, we were plagued by fresh cow problems such as off-feed, ketosis, DAs, and metritis. Not only did we face these problems and their costs, but we also spent a lot of time and money trying to prevent these problems by drenching and IVing. Our farm team and advisors decided it made most sense to take the free stalls out of the heifer and dry cow barn and use a bedded-pack for close-ups. We had another facility 25 miles away for our heifers and far-off drys. The building was open to the south. We removed the siding from the north wall and installed curtains. We put down sand and covered with straw. The pack is cleaned 3 times a year. The remodeled barn gives us an effective bedded pack of about 4,600 sq.feet. Ideally, close-ups should have at least 100 square feet of resting area each. Our experiences confirm that. 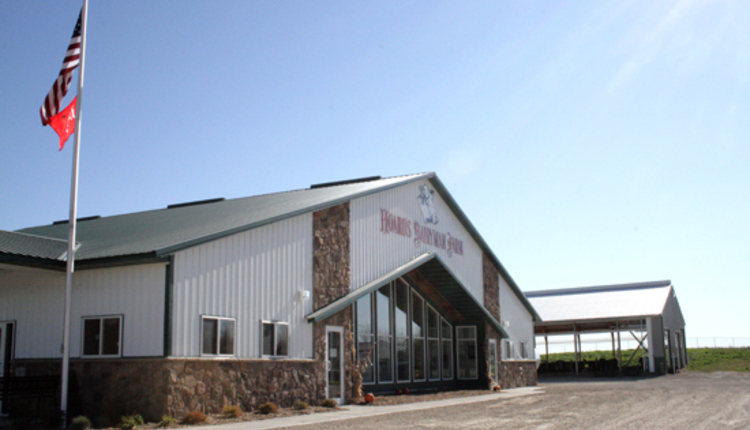 The remodeled dry cow barn gives us an effective bedded pack of about 4,600 square feet. The cost of converting the barn totaled $30,500. Whenever we put more than 45 to 50 cows in the barn, we begin to see more fresh cow problems. It is that simple. We're in better shape on eating space. We have 135 feet of manger. At 2-1/2 feet per cow, we have room for 54. At 2 feet per cow, we have room for 67. We discussed the barn conversion and some herd health results in the March 10, 2010, issue, page 177. The converted barn continues to perform very well as long as we don't overcrowd. 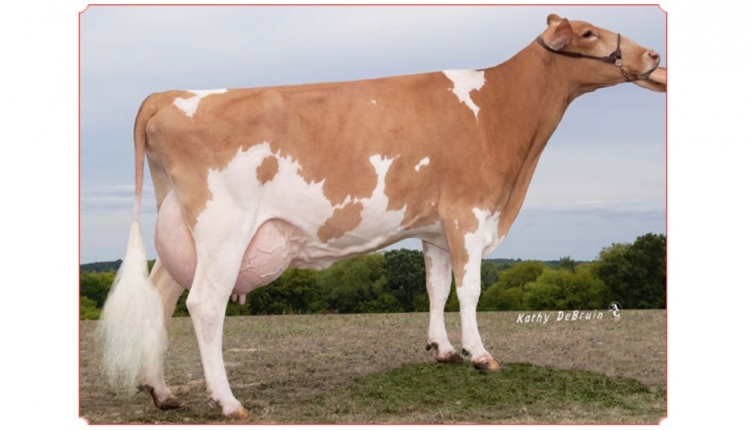 We still have more fresh cow problems than we would like to have, especially with the Guernseys, but our fresh cow starts are much better, according to Hattie Simonis, our herdsperson. The cost of converting that barn totaled $30,500. It probably paid for itself in less than two years through fewer fresh cow problems and higher milk production due to higher peaks. We hadn't planned on making use of our old buildings. But the conversions have enabled us to produce more milk and take better care of our cows even though our building plans were interrupted. In fact, our remodeled buildings are working well enough and at low enough cost that our plans are to continue using them in the years ahead. 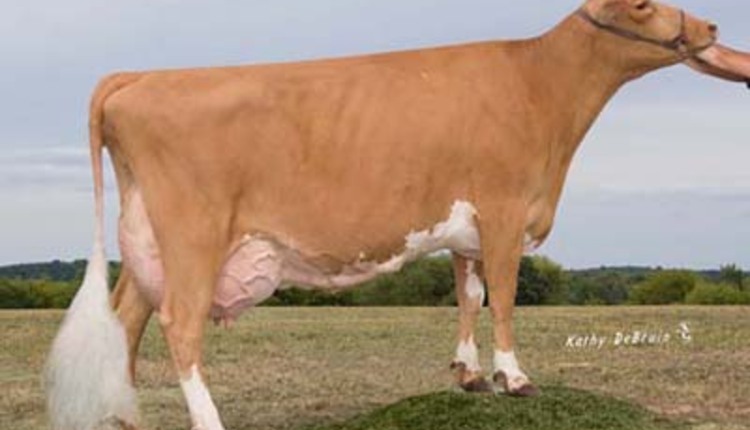 Hoard's Dairyman Farm Jerseys Rank #5 in the U.S.